Our Kids Foundation is very grateful to Marko Govorcin for his ten years contribution to the organization and for his 19th charity concert performance which was held in Austria, Salzburg on 30th March. We would also like to thank the Association BH Dijaspora, Salzburg who helped with the concert as well as the artists who performed for us: Rita Movsesian, Claudia Nossylavsky, Anita Sudar, Verena Aziz and Jovica Ivanovic. Last but not least a big thank you to all the people who attended the concert and helped out. 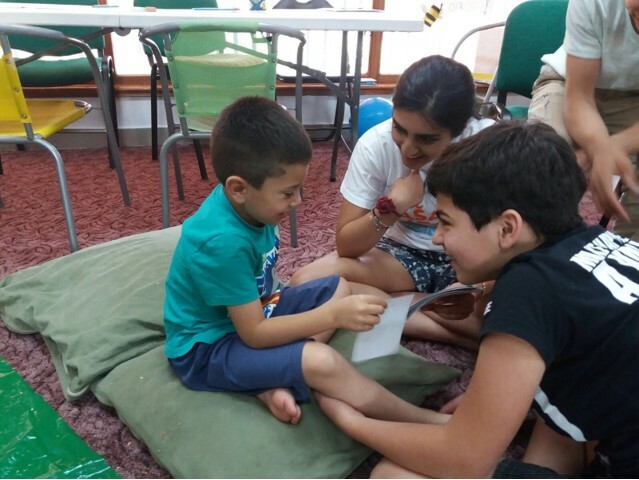 Following on from last week's story by Rasna, this article was written by Simi, Rasna's mother, and tells of her experiences visiting the children cared for by Our Kids Foundation ("Nasa Djeca" in local language) in and around Mostar, Bosnia and Herzegovina. Two years ago I remember sitting in the presentation given by my daughter's school teacher about their forthcoming trip to an orphanage in Bosnia. I was reduced to tears when we were shown a video of a previous trip, so moved was I by the plight of these children. Little did I imagine that two years later mother and daughter would be visiting the very same orphanage. As a solicitor specialising in child protection for over 25 years, I have first hand experience of the distressing background of these children's lives, and the lifelong experiences for them as a result of poor, neglectful or at its worst, abusive parenting. Whether, as they approach adolescence and their adult years, it becomes a vicious cycle of alcohol or drug misuse, sexual abuse, or violence in their relationships. I was overawed by the dedication, professionalism and commitment of a handful of staff who go, and indeed have been going, that extra mile for these children and young adults, with very little financial rewards. As one professional commented as she scoured YouTube late into the night to find ideas for working with the children, whether it be for therapeutic or creative purposes, " for me this is not a job, it's a way of life." No one afternoon at the orphanage was the same, the children were always being stimulated, challenged and entertained, largely by one member of staff who may have up to 15 children that afternoon, including some with special needs, who require greater support. It was an incredible experience to witness. Despite a language barrier, we had a great time playing with the children, and spotting a future Ronaldo! However it was the afternoon when therapeutic work was being done with the children that was by far the most distressing to witness, especially as a mother. The children were asked to lie down, relax and dream, about anything, whether it be their parents, experiences, other loved ones, etc. Thereafter they were asked to draw their dream. Apart from two children, all of the children drew pictures of unhappy people and distressing situations. See for yourself - as they say, a picture speaks a thousand words. 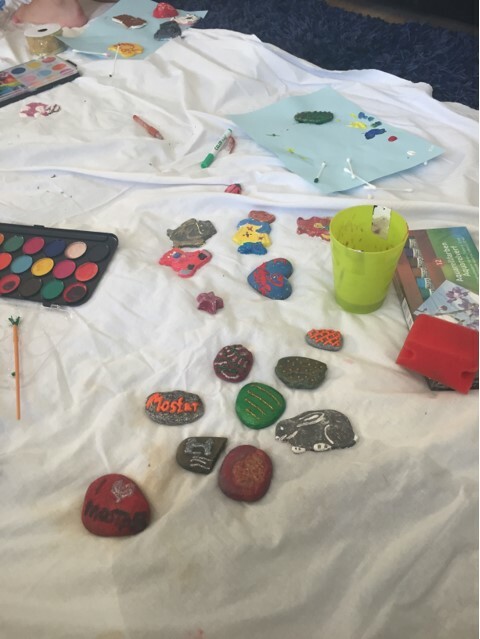 This activity was invaluable as it enabled the therapist to know more about the children's experiences and how to assist them in their recovery. From the age of 18 there is no support from the government for the children. Two homes have been set up for the girls and boys, to engage them into society and teach them to become independent. The house for the boys boasted a garden the boys where they are being taught to tend to a garden, and we sampled delicious cherry cordial and jam that they had prepared. We met two of the boys, one of whom is training to be a mechanic, the other a chef. The girls' house was equally impressive - from their skills at keeping it immaculate and witnessing them running a second hand clothes shop, create artefacts to sell, etc thus teaching them invaluable life skills. Two years ago when my daughter went to the orphanage she was absolutely besotted with a three year old boy who she spent the best part of the fortnight with. His photos were her screensaver on her phone, computer, and she had photos of him dotted in her room. We found out that he had been adopted, and made a 14 hour journey to meet him with his adoptive parents. It was totally worth it - he has since blossomed and is blessed to have such wonderful parents. As a mother l can now close that chapter in the knowledge that he is so very happy in his new home, and thus end a mother's story. 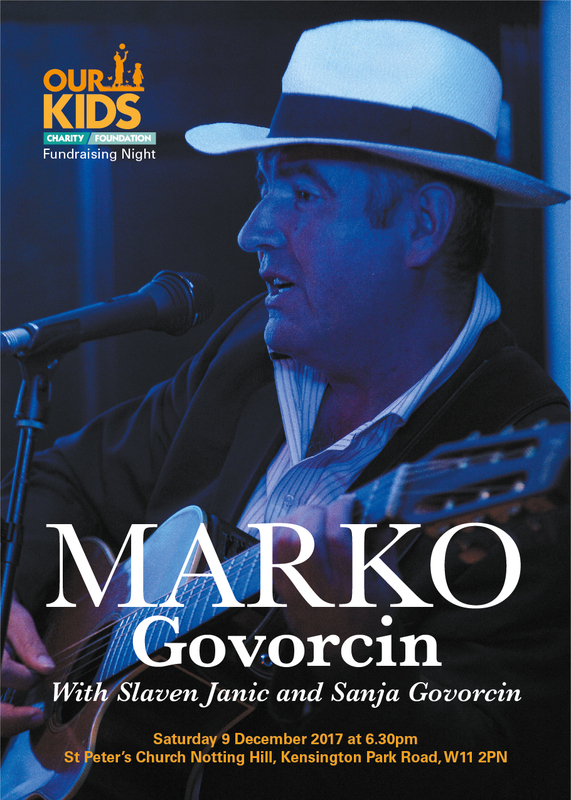 Our Kids Foundation is delighted to announce a fundraising concert with Marko Govorcin, Sanja Govorcin and Slaven Janic. Saturday December 9th, 2017. Marko will bring with him two new CDs which have been produced in a very successful Balkan studio in Munich owned by Brano Likic. The concert is to take place at the stunning St Peter’s Church in Notting Hill, W11 2PN. Please join us at 18:30 on Saturday 9th December 2017 to enjoy traditional music from the Balkans and support Our Kids mission of improving the lives of disadvantaged children and young adults in Bosnia and Herzegovina. Minimum donation to attend the concert is £20/person and it can be made on our Just Giving page. Please clearly state the names on whose behalf the donation is being made. Funds raised by the concert will be used in supporting the long term and ongoing projects of Our Kids Foundation. We work mainly with children in social care and young adults who have to leave state care once over 18. Many of them have special needs but receive little or no support from local authorities. Doors open 6:30pm. Concert starts 7.30pm. Earlier this year we were contacted by Alex and Brian from HERO (Humanitarians for Education and Recreation Outreach). They asked if they could make a donation to support our work and agreed to donate laptops for use by the children at the after school club at Egipatsko Selo children's home. We met them in October and as promised, they purchased 6 brand new laptops. They also visited the orphanage to see the after school club in action. Computing resources like this are vital for the children's education and homework, and preparing them for employment when they leave at the age of 18. The home doesn't have equipment like this so the kids get little opportunity to use modern technology. This will be an amazing boost for them. Of course, they can use the equipment for fun stuff too - and they're already enjoying watching movies and listening to music. 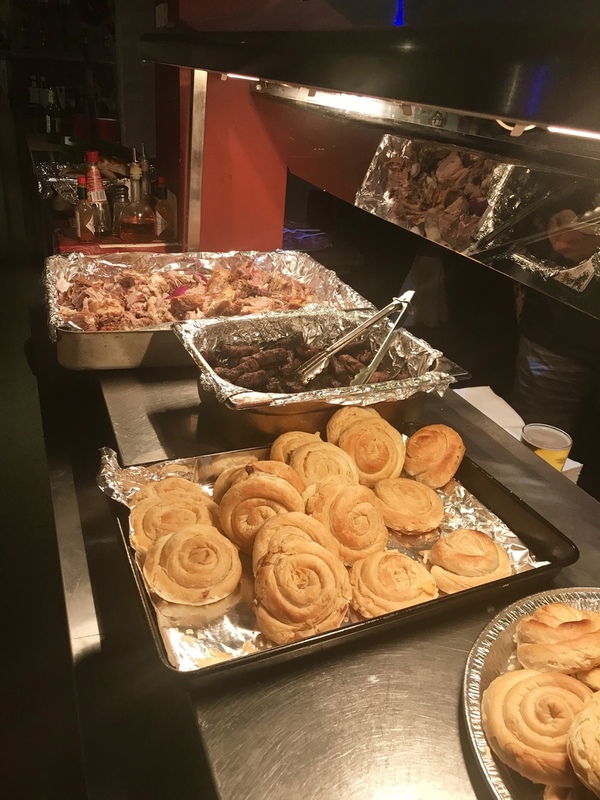 Our Kids Foundation's new Halfway House began operations earlier this year and recently ran an open day event to help raise awareness and show the local community what we do. The house is located in Vrapcici, just outside Mostar, and provides temporary accommodation and support for young adults leaving the state care system. In Bosnia and Herzegovina, when children reach the age of 18 they must leave state care, but often they have no family or other support network. 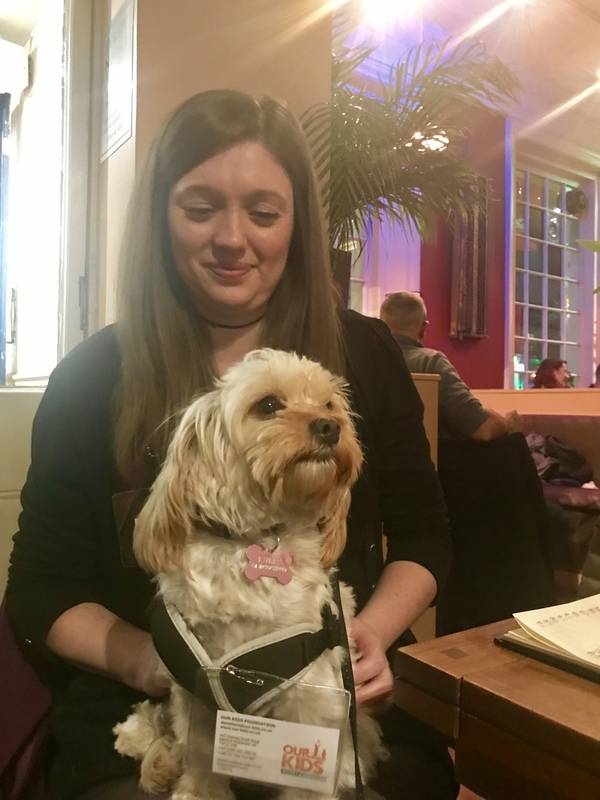 They struggle to make the transition to independent living, and problems experienced during this critical period can have a long lasting impact on their lives. A little support during this vulnerable time can make a huge difference. Young adults at the Halfway House are provided with a safe place to live as well as help with finding and keeping a job or enrolment in further education. When they are ready to move on, we help them to find their own accommodation and establish an independent life with a firm foundation. The project began operations in May this year and we now have 7 young people in the program. In December the house ran an open day for the local community, to give people a chance to learn about the project's goals and how we work The event was well attended by neighbours, media and local politicians as well as our existing supporters and volunteers. Well done to the team and residents! 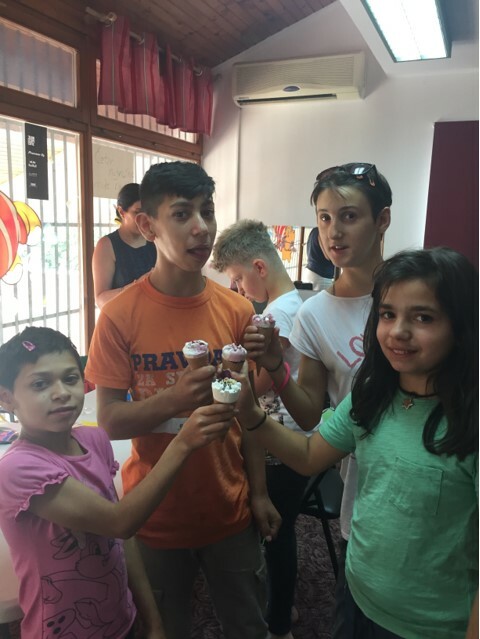 Three heartbreaking stories from the orphanage in Mostar - but thanks to our wonderful project teams, volunteers and supporters, all challenges can be overcome. Child welfare in Bosnia and Herzegovina is severely under funded, making it difficult to maintain good living standards for the children even at the best of times. When disaster strikes, the system is often unable to respond. When it strikes three times in quick succession, it can lead to a desperate situation, and this is exactly what was experienced this year by the children living in the Egipatsko Selo children's home, Mostar. The first disaster struck a few months ago with a major fire in one of the dormitories. Fortunately no-one was hurt, but it destroyed one of the living areas. The government had no funds to repair the building and its future was uncertain. The second problem was the badly maintained roof in the area of the orphanage where our Naša Djeca project team run all the children's workshops and the after school club. During even light summer rains it was letting in water so the club, which means so much to the kids, was regularly cancelled. We were extremely worried about how the building would fare during the heavier rains of winter. The third issue was, unbelievably, a break-in and theft at the club house. Stealing from orphans is outrageous and such a saddening thing to experience. The thieves broke through the entrance, wrecked most of the rooms and made off with a TV, some bicycles and all the radiators - presumably for the scrap metal value. In spite of all these setbacks, the amazingly dedicated team in Mostar refused to lose heart and set about raising the funds necessary to fix everything. Our supporters in the UK ran a special appeal, as did our partner organisations. The team in Mostar did a fantastic job rounding up local support too. Thanks to the hard work and generosity of all involved, our employees, volunteers and donors, we are delighted to report that repairs are progressing really well. We'll keep you posted. For the fourth year in a row, the children, employees and volunteers of our Naša Djeca project in Mostar participated in a benefit concert of dance, music and culture. The event was organised jointly with other organisations in Mostar and around Bosnia and Herzegovina. 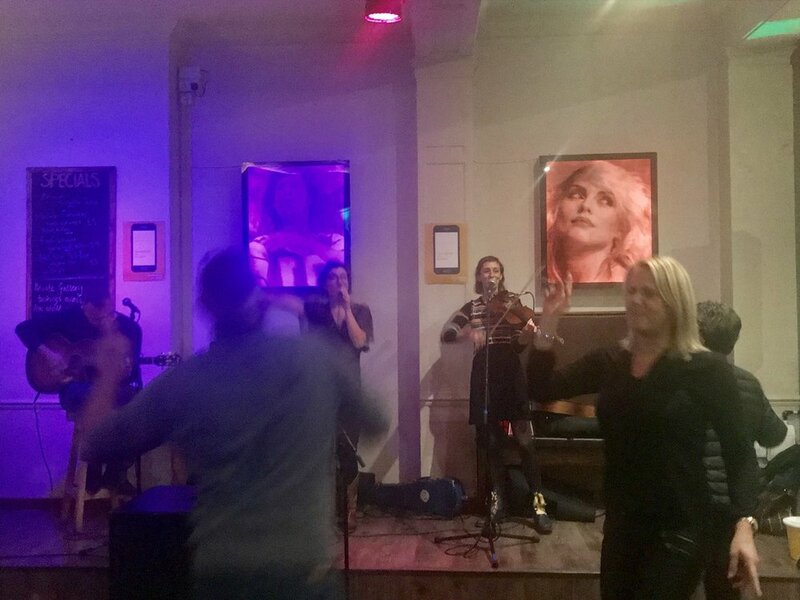 The event raised over KM2500 (£1000) for the project but more importantly it is a wonderful opportunity for the children to express themselves and raise awareness within the community, presenting the work of Naša Djeca and other youth groups in a very positive way.